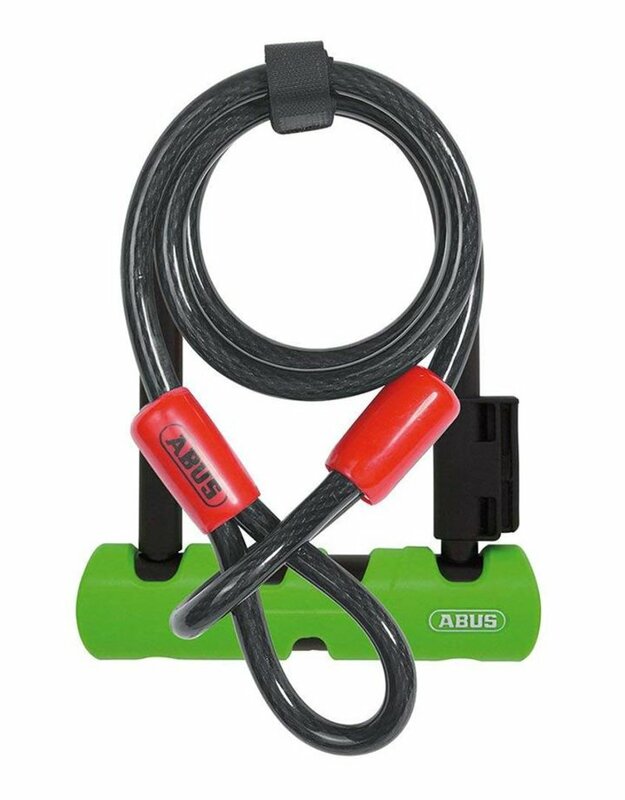 Constructed for tough, everyday security, the ABUS Ultra 410 Mini LS 9" U-Lock has a strong and aggressive design with 12mm double-bolting, temper hardened steel shackle, double-layer wafer key cylinder, and decoy cutouts for excellent protection against cutting and picking. 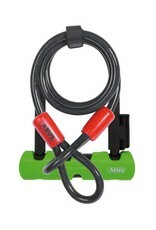 It easily mounts to your bike frame with the SH bracket and guarantees a rattle-free ride. 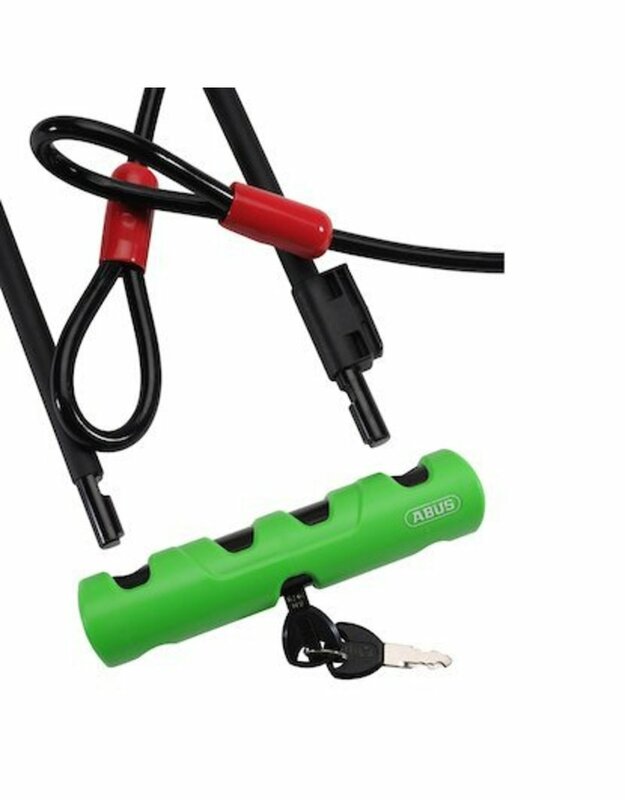 The ABUS Cobra 10/20 Cable is made with 10mm high quality, flexible steel and has loops on both ends that can be woven through the wheels of your bike and secured with the U-Lock. 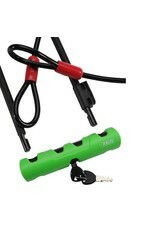 Dimensions: 9 x 3.1 x 0.5"